Everyone saw what an impact Khalil Mack had on the Bears’ defense against the Packers on Sunday night. Now imagine Mack lining up to rush the passer alongside Rams’ D-line stars Aaron Donald, Ndamukong Suh and Michael Brockers. The Rams apparently really wanted that scenario, but only for one year, according to ESPN’s Adam Schefter. Speaking on ESPN’s “Monday Night Countdown” hours before the Rams hosted the Raiders, Schefter said Oakland rejected the Rams’ trade offer. 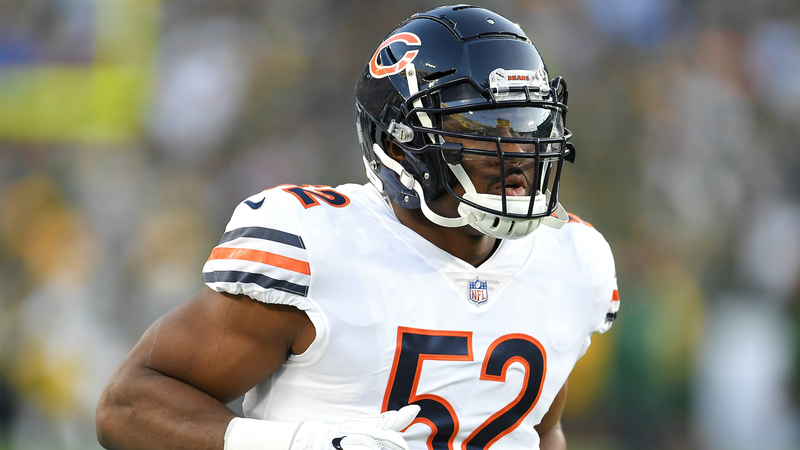 Chicago ended up parting with two first-round choices, along with other future selections, for Mack, who signed a six-year, $141 million contract with the Bears. The Rams, who just 10 days ago signed Donald to a 6-year, $135 million extension, also recently signed star running back Todd Gurley to a four-year extension reportedly worth $60 million. So paying Mack what he ultimately wanted long term would have been impossible. But it would have been fascinating to see Mack added to that already fearsome pass rush in a one-year bid to win the Super Bowl.